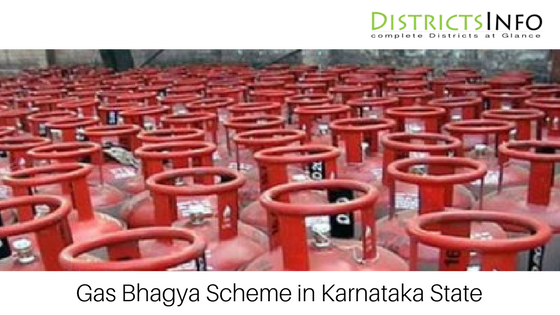 Gas Bhagya Scheme in Karnataka Scheme: After a successful Anna Bhagya scheme, Karnataka government will start a new scheme namely Gas Bhagya Scheme in Karnataka. We might have seen our grandmother and old women cooking food using kerosene oil, wood, paper, cow dung cake and crop residue. This scenario changed in our household because we can afford it now. At that time also we would have afforded it, but at that time Gas stove and cylinder were not so popular among peoples. But still, there are families who still use kerosene oil, wood, paper, cow dung cake and crop residue to cook their food. This method of cooking not only affects their health but also affects the pollution level in our country. So Indian government along with different state government are implanting some programs to change this scenario in our country, mainly in our villages. What is Gas Bhagya Scheme? 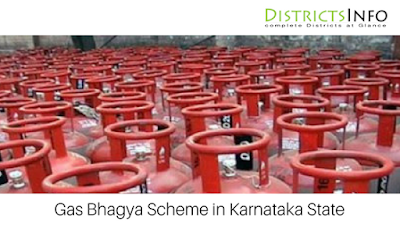 Gas Bhagya Scheme has been started by Karnataka government for the families under Below Poverty Line (BPL). As we know these people cannot afford a gas connection or gas stove by themselves. So the government is trying to provide some free gas connection to poor peoples under Gas Bhagya Scheme. They will provide a cooking stove and an LPG gas connection under this scheme to the women under Below Poverty Line (BPL). Karnataka government is also interested in starting the Pradhan Mantri Ujjawala Yojana in Karnataka by sharing the cost with central government.  Women cooking food using kerosene oil, wood, paper, cow dung cake and crop residue will now have a gas connection on their name.  The health of these women will improve. Also, the pollution level will get stable a little by the use of gas in cooking food.  Gas Bhagya Scheme is expected to benefit about 40% of almost 1 crore BPL families. Also, the expense of kerosene and other material will reduce.  Women need to go to forests or some place outside from where they can get woods and some dry leaves to help in cooking food. Many accidents take place during this procedure. They will be stopped.  You must come under Below Poverty Line (BPL) families.  You must have your identification card along with your BPL card for you to get a gas connection.  When the government bodies or village panchayat official comes to your village, you need to show them your identification, address proof, and BPL card. So that they can include your name in their list of Gas Bhagya Scheme.  After your name gets included, you just need to wait for few days. Gas will be sent to your address or your village, you can collect it from there by showing your ID proof.  Now you can start cooking using your own gas connection if you face any problem contact officials. Do not try to give your names many times to get many connections. If you will get caught, you will get nothing. So better be honest. This Gas Bhagya Scheme will surely help BPL families in Karnataka to get of rid of the smoke and other difficulties in cooking food. This Gas Bhagya Scheme has not been officially announced by the government. So we hope it to be announced and implemented soon in Karnataka. Bagalkot, Bangalore Rural, Bangalore Urban, Belagavi, Bellary, Bidar, Vijaypura, Chamarajanagar, Chikballapur, Chikmagalur, Chitradurga, Dakshin Kannada, Devanagari, Dharwad, Gadag, Gulbarga, Hassan, Haveri, Kodagu, Kolar, Koppal, Mandya, Mysuru, Raichur, Ramanagara, Shivamogga, Tumakuru, Udipi, Uttar Kannada, Yadgir in Karnataka state.